Have you ever found something that you are convinced was designed for you? I accidentally discovered the most PERFECT foundation brush for myself whilst I was shopping in Cardiff last month. What was this miracle brush I hear you ask? It's the e.l.f. 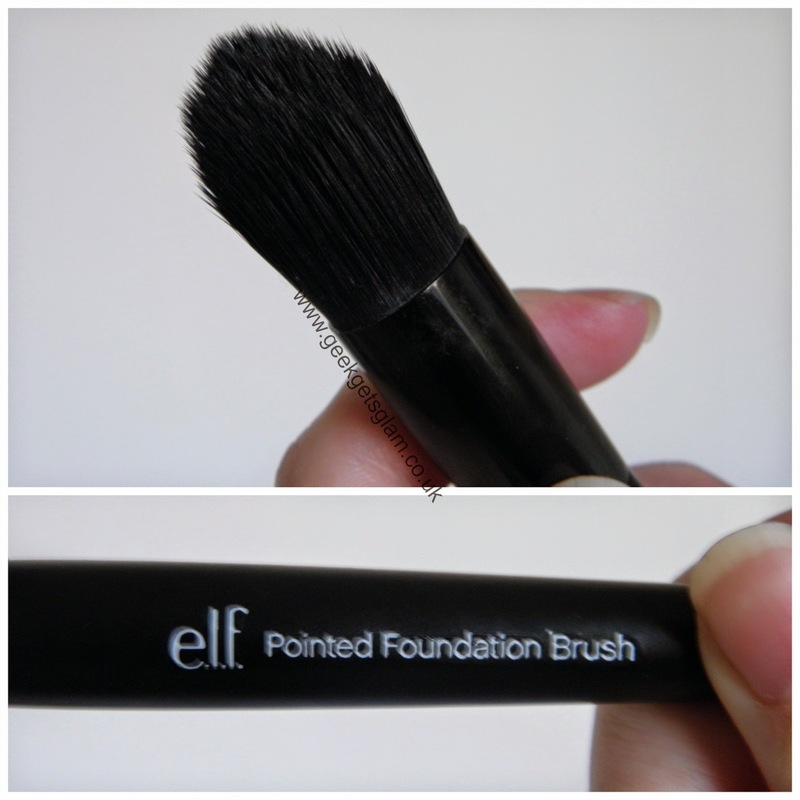 Pointed Foundation Brush and I'm about to explain why it is so fantastic. I have been using the Real Techniques brush for a while now and, although it is a great brush, it's not quite right for me. Although it's great for blending make up, I find the bristles too dense to apply foundation to your face leaving it a bit patchy in places. So when I spotted the rather narrow brush with a nice pointed tip in the e.l.f. shop I knew I had to get it. The bristles are soft meaning that you can 'splay' (is that a word?!) it making sure you get an even application of make up over the face. The pointed tip is perfect for getting right under the eye area without irritating it. I like that it's a lot smaller than the RT brush as it makes it easier to see what you're doing and where you are putting your make up. I still use my RT brush for blending however the e.l.f. Pointed Foundation Brush has taken pride of place in my brush collection for foundation application and I will 100% be buying a few more e.l.f. brushes.